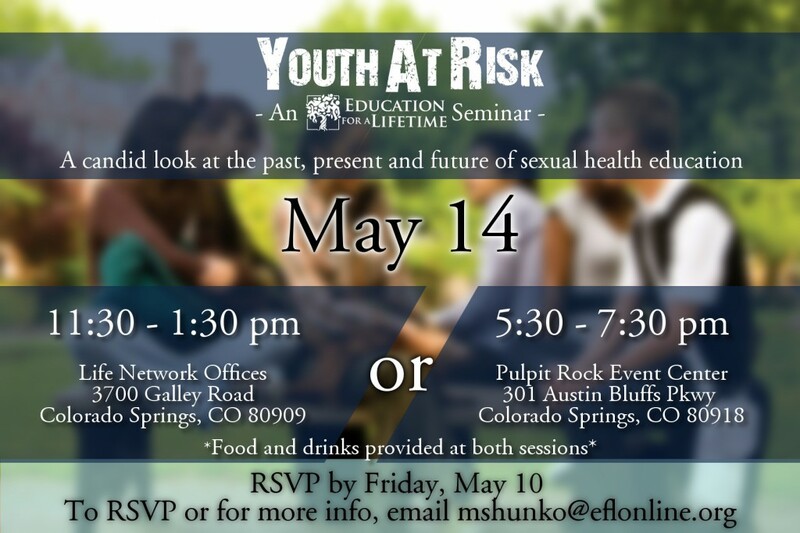 EFL is hosting a free seminar about the state of sexual health education and the impact it can have on youth. Food provided and two chances to attend. Please RSVP with mshunko@eflonline.org by May 10. Education for a Lifetime is located in Colorado Springs, CO. Our programs are designed to encourage and inspire a lifestyle of healthy choices. We encourage students to abstain from all high-risk behavior with an emphasis on avoiding sexual risks so those students can stay in school, attain a quality education and begin to focus on their life goals and dreams.